Investors are always looking for the “Right Opportunity”. 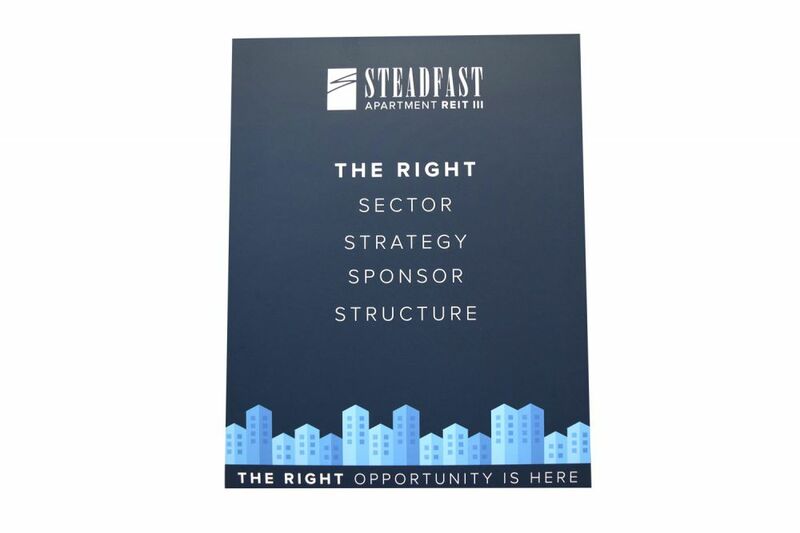 Steadfast, a real estate investment company, was looking to launch a direct mail campaign showcasing their newest investment product, the Steadfast Apartment REIT III. The goal of the campaign was to not only conveniently deliver all the necessary product information and necessary forms, but to also grab readers’ attention to create a memorable brand experience. 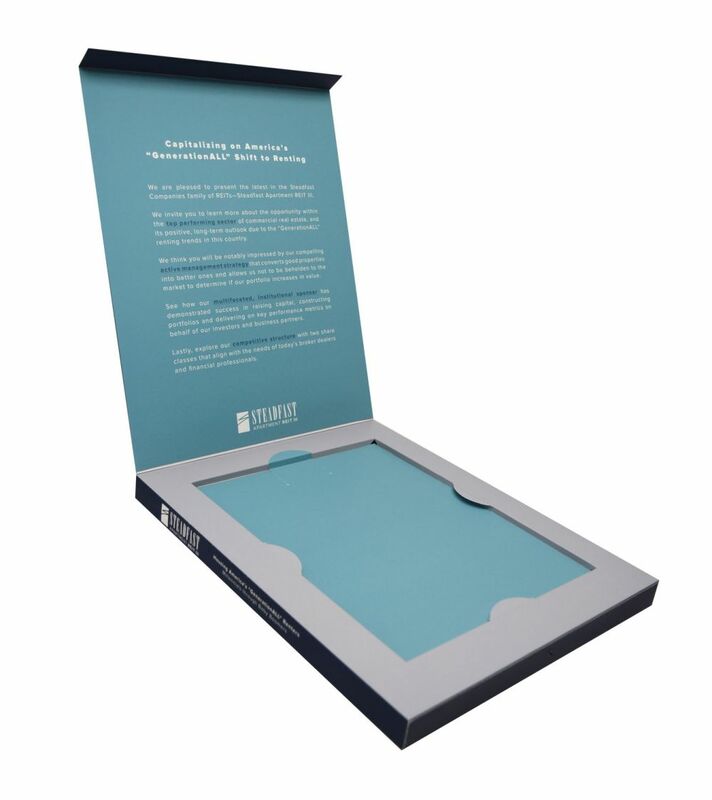 Americhip worked with the Steadfast team to design and produce a large format three-dimensional mailer that included a magnetized clasp for easy opening and closing as well as an internal well to house important plan information and forms. When opened, the mailer automatically played the Steadfast Audio Logo which created a unique experience that was sure to impress potential investors. With a great investment product and impressive messaging which included audio, Steadfast’s target audience was sure to know that the “Right Opportunity is Here”. Put your audio content to work in your next marketing, advertising or branding piece. Get your message heard through your audio logos, licensed music, voiceovers and customer testimonials.